The ibis Archamps Porte de Genève hotel team welcomes you to our beautiful region. We are happy to welcome and we will ensure you have a pleasant stay. 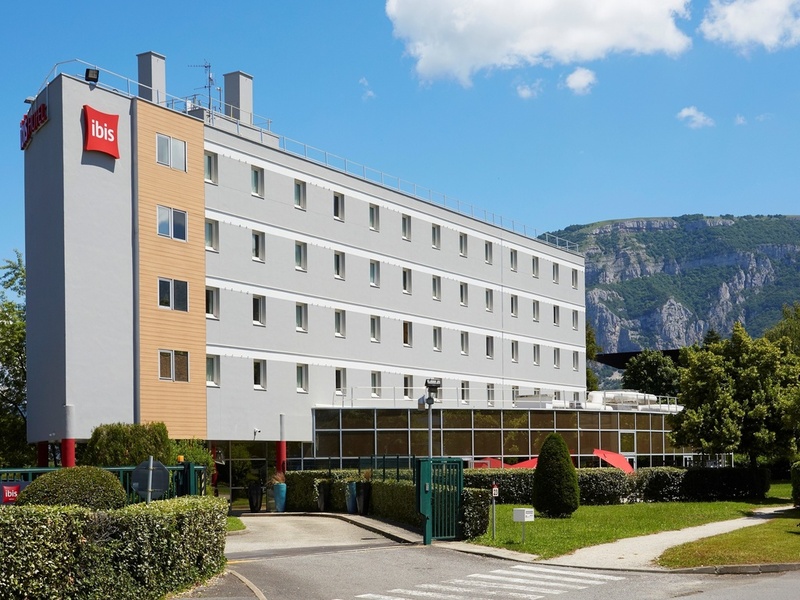 The ibis Archamps Porte de Genève hotel offers an ideal location on the Swiss border in the heart of an international business park, 15 minutes from the center of Geneva and the Geneva Cointrin international airport. The hotel offers 84 rooms, including 3 for guests with reduced mobility, and is located opposite the Gaumont d'Archamps movie theater. Guests can also enjoy the charming town of Annecy, just 20 minutes' drive along the A40 highway. Private car park and free WIFI available throughout your stay. Geneva, capital of international organizations and home to international trade fairs such as the Geneva International Motor Show, museums and monuments. Relax on the shores of Lake Geneva and enjoy the Jet d'Eau fountain. The gateway to Alpine resorts. The rooms at the ibis Archamps Porte de Genève hotel have been fully renovated! They will be available from January 15, 2018! It is possible my stay here this time was nowhere near previous stays due to just two personnel. I await a response from head office. If the staff in the morning hadn't been so good my review (I keep getting email hassled to give one) would have been MUCH worse. I stay at a lot of Ibis Hotels as well as other companies all over the EU. It is extremely rare for me to have a problem. Stayed here several times and it is always good; very comfortable bed and kind staff. Ideally located for travelling from London via Calais to Genoa. nice room, nice waters. I had to sleep with earplugs, however, because of the close highway and doors noise as very often in hotels. Bed was in bad condition. I know you don't advertise a restaurant but there was no food of any interest at all. Staff very helpful. No language barrier. Room clean and tidy. Easy to find just off the A40, with parking. Room could be larger, especially if you are there more then a day. Breakfast buffet had enough to choose from, The staff was helpful.WiFI was working well. ,Hope to be back soon. .
Well located and recently updated hotel. Very good beds, helpful staff. We stayed here as the flight toGeneva got in late and it is only a short drive away. We may stay here again on way back from Italyas its a convenient midway point. We always appreciate an Ibis hotel as the beds are uniformly comfortable ! I am always amaze travelling to Archamps and stay at Ibis. I always stay here every year I visited Archamps since 2016. I like the make-over that they have now completed. This is a clean, well-styled hotel with generous rooms at a reasonable price. It's perfect for your stay if you are passing through or on an activity. The staff were particularly helpful and friendly. Great stay, had almost everything I needed for a short stay. I arrived late night at I discovered that actual reservation was misaligned compared with confirmation received by email: I booked 2 nights but only 1 nights has been actually reserved. RISK: I was just lucky that there was 1 available room so I could stay overnight. For the rest the staying was good.